Efforts at providing a physical-axiomatic foundation of the space-time structure of the general theory of relativity have led, when based on simple empirical facts about freely falling particles and light signals, in a satisfying manner only to a Weyl space-time. By adding postulates based on quantum theory, however, the usual pseudo-Riemannian space-time can be reached. We present a newclassical postulate which provides the same results. It is based upon the notion of the radar distance between freely falling particles and demands the approximate equality of the growth of the radar distance for particle pairs of equal, small initial velocities. 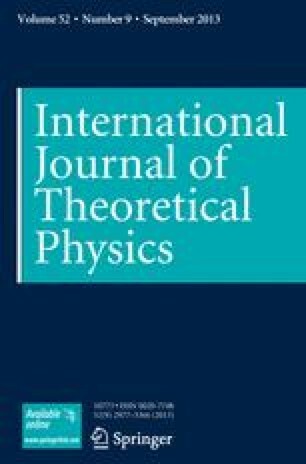 We show that given this, a property results, as found in earlier work by the author, that distinguishes between Weyl and Lorentz space-times. The property refers to a special metric and decides whether its metric connection has the given free-fall worldlines as geodesics or not. It consists in the vanishing of the mixed spatiotemporal componentsgi4 of this metric in suitable coordinates along the worldline of the freely falling observer, as the rest system of which the coordinates are constructed.